Eric, you have written one of the most practical books I’ve read on hiring the talent necessary to significantly improve sustainable business results. Your book, How to Hire A-Players: Finding the Top People for Your Team — Even If You Don’t Have a Recruiting Department (John Wiley & Sons, 2010) is packed with real-world examples, helpful advice, and step-by-step processes to improve the overall talent in your organization. Why is the acquisition of talent so important in an era where people regularly change organizations five times or more in their careers? 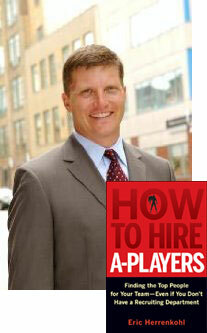 Dan, thanks for taking the time to review How to Hire A-Players and to give your readers a “sneak peak” into the book. We have heard about the war for talent for years. But the issue came home to me when I saw so many of my clients investing their leadership and coaching efforts in people who were never going to be A-players. They were trying to solve a recruiting problem with a coaching solution. In college athletics, the most successful coaches are almost always great recruiters. They know how to find the raw talent that they can turn into a championship team. My new book How to Hire A-Players is simply a game plan for taking that same “coach as recruiter” strategy and applying it to business. Is there a label in terms of gender, race, size, personality type, academic background, previous employers, or age that indicates whether or not a person will be an A-Player? Have you seen any trends that suggest that any of these labels can help an employer locate an A-Player? Just the opposite, A-players can and do come from every walk of life. The issue in determining A-players is not necessarily their pedigree. It is whether you as the hiring executive understand the pattern of accomplishments, skills, and motivation that indicates someone will be an A-player for a particular role. What are the characteristics of a good talent recruiter? A good talent recruiter takes the time to define an A-player profile for a role. He or she helps the company determine what extraordinary performance looks like in a role, defines how such performance will be measured, and identifies the combination of accomplishments, experiences, and native talent required to get these results. Then, the best recruiters conduct exhaustive searches. They map out all the talent eligible for a role, strategically work through this list, and keep the company apprised of their progress. Finally, the best recruiters only send well-qualified candidates to the hiring company and allow the executives and managers to hire the best from a strong group. You talk about “talent choke-points”? What do you mean by that and how can those situations be overcome? Talent choke points are key roles in which having the right people makes an inordinately large contribution to the success of the business. Senior executive roles fall into this category, but so do technical sales consultants and retail store managers. Pop the hood on most businesses and you will find at least one role where hiring A-players can have a transformative effect on a business. How long should an employer stick with an employee who has below average technical skills and a below average attitude? An employer should not stick with that person one more day — with no skills and a bad attitude, there is nothing upon which to coach for improvement. However, the fact that employers stick with such employees all the time is the reason I wrote How to Hire A-Players. Employers don’t keep these individuals around because they want to. They keep them around because they feel they have no choice — they have no one to take the person’s place. 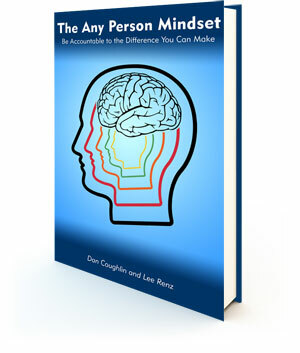 This book is all about creating a talent pipeline for your company that provides you with A-players who can step in and create great results. A talent pipeline makes even the most timid manager bolder about dealing with poor performance and poor performers. When employees become jealous of a new A-Player hire, what should the boss do to counteract that jealousy? Great question. First, you have to ask yourself about the source of the jealousy. Are people simply intimidated because their own mediocre performance is now being revealed? In such a case, you want them to feel jealous. However, in other situations, good employees are intimidated or threatened by the arrival of a strong outsider. I coach newly hired A-players to ask a lot of questions, listen, and communicate that they respect the work that has gone on before their arrival. They need to win friends and earn respect early in their tenure. Yet they also need to set a fast pace that shows they know what they are doing and challenges people to emulate them. I find that strong people like and respond to A-players who take this approach. Weak people and weak performers don’t respond well, and that is ok — maybe you need to find stronger people for their roles as well. What are your feelings about Jack Welch’s 20-70-10 philosophy where the bottom 10 percent of the employees in any work group should be let go? None of the companies that I work with have a hard and fast policy that terminates the bottom 10% of employees annually. However, in most situations, when they follow the approaches that I recommend and starting finding and hiring more A-players, they do let sub-par performers go because they can. They used to feel that they had to tolerate sub-par performers because “having someone was better than having no one.” Now, they realize that there is strong, affordable talent out there that makes the whole business better. Daniel Pink wrote a book recently called, Drive: The Surprising Truth About What Motivates Us. He says that there are three primary drivers of motivation in the work place: autonomy, the urge to direct our own lives; mastery, the desire to get better at something that matters; and purpose, the yearning to do what we do in the service of something larger than ourselves. What are your thoughts on these three primary drivers and how they relate to attracting and retaining A-Players? While this is a strong list, we have to be careful about assuming that every A-player is motivated by the same things. When I work with executives to create an A-Player Profile for a key role, we always include a motivational profile of the job. Some positions require people who love to operate autonomously, for example, while other roles offer limited autonomy. The same is true for mastery and purpose. The trick is to understand all the different rewards offered by a job and then find people who fit the role well. However, I would say that A-players are attracted to working for strong leaders who can articulate a vision for the company and for the individual’s role within it. This does tap into a hunger for purpose that is present in many people including the A-players. Warren Buffett has said that he would rather pay a fair price for a great company than a great price for a fair company? What do you think the implications of that statement are on the importance of hiring and retaining A-Players? Buffet’s principle is completely transferable to talent. Identify talent choke points in your company, create an A-player profile for these roles, and quantify the financial impact that having A-players in these roles will have for your business. Then budget accordingly. If you want to make money next year from the team you build this year, you have to be willing to pay a fair (but typically not exorbitant) price for the right talent. 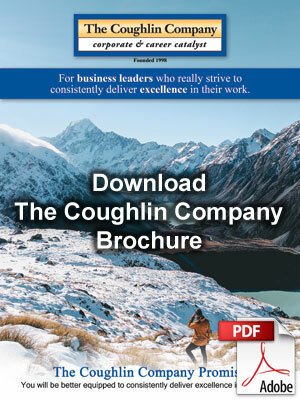 Herrenkohl Consulting works with Fortune 500 executives and the leaders of privately-held companies to create the businesses they want by building the organizations they need. The firm serves Bank of America, Edward Jones, Ernst & Young, Northwestern Mutual Life, agencies within the Omnicom Group, and privately-held businesses in over 50 industries. Eric is an expert author for Monster.com. His work has been cited by Fox News, the Philadelphia Inquirer, Inc.com, Careerbuilder.com, the SHRM Consultants’ Forum, and MSNBC.com. 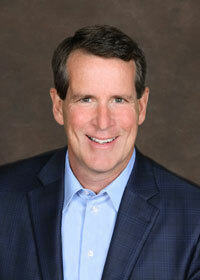 His free monthly e-letter Performance Principles reaches thousands of leaders around the globe. You can learn more about Eric and his firm and take advantage of free resources for building a team of A-players at www.herrenkohlconsulting.com.